Having come back from a hiatus, I was surprised at how...bad she is at the moment, even compared to past, less than fun versions of Nova. Used to be obvious that while she was terrible in competitive leagues, she was fun in QM. Now she isn't even fun there. Would be nice to have at least one mode which is fun as Nova. Give her an E better than "Create statue which blocks nothing for a few seconds"
Make a better E + make her "stealth" at least something remotely equivalent to the concept people normally associate with that word. So you're saying the pros need to L2P? 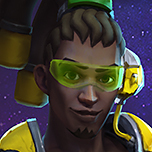 Nova is only playable at low levels so that's why you probably think she's good.. She is undoubtedly one of the worst heroes in the game right now. I was Diamond/2500 before - and my stats for Nova (winrate, damage, K/D etc) are actually better since I came back - which, honestly, surprised me when I checked. I'm not posting because I had a bad day. I actually had a good few days since I came back. Nova just isn't nearly as fun to play, which, for a game, is a real issue for a character. Stats don't tell the whole story. Please make her fun again, Blizz. Nova is only playable at low levels so that's why you probably think she's good. This isn't true. She is playable at master/pro level. The thing about Nova is... everything she can do other heroes do better. Thats the issue. It's not that she isn't playable. She perfectly is. Often pros use her in their /streams to prove the point. There are plenty of players which do things better than others. I'm sure some team will still use her eventually in some wacky comp like we just saw recently with Aba/Zeratul/Valeera/ i forgot the rest but it was an epic game to watch for sure. She doesn't need ANY of the things mentioned either. Those are strictly l2p ... kinda like the same complaints/suggestions to make X hero OP from people who dont know how to play certain heroes. Like the ones who want DVA to do more damage because its the only hero they know how to stay alive on . She is undoubtedly one of the worst heroes in the game right now. 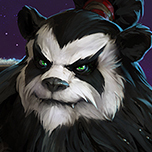 Worst hero in the game right now is Tassadar last I checked. Nova has an average win rate. Ultimately she is just a cheesy hero with a niche all her own. Not every hero can be everything you want it to be. And thats fine. 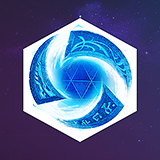 If they were all the same HOTS would be boring to play. Thats all. 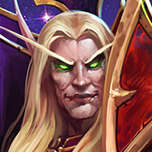 Make L2P comments when you're actually better at the hero. None of those would make her OP. They'd make her more fun, and hardly affect other characters. You admitted yourself that she's not good enough to play, because other characters are better. She's obviously NOT good enough, or she would see more than 5% play in competitive modes. Her 'niche' was stealth assassin. Stealth doesn't exist anymore. That was literally the point of the post: to fix her niche. Tracking now? She's fine. And I'm just fine with her. She is never going to be made any better than she is because of the type of hero she is, thats unless they can actually raise the skill cap on her significantly. She still has a niche, you just dont realize it yet. A hero who is a better choice does not make another hero "unplayable." Thats your false logic. You dont want any heroes in the game to reveal you? ("I want to be 100% untargetable by skill shots") LOL L2P issue. Well at least you got 1 right. There is no reason why they needed keeps and forts to reveal stealth when it is already easier to see with all of the stealth heroes right now. With the usefulness of Nova's E, it might as well cost 0 mana to combat her extreme mana consumption. While you might block Li-Ming's orb or mess up Garrosh's throw from time to time, usually you're better off saving mana.